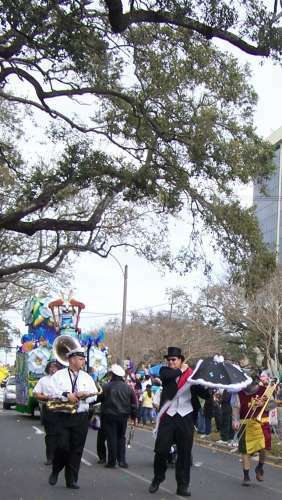 This is a Jazz Band from Mardi Gras Day. They play music and entertain the crowds. Thanks!! I tried to frame it when I brought it zoomed in. I just wish the guys had been playing a number as they passed. NIce shot - I like the way you have framed it with the tree branches.